On the Russell Peninsula we have kiwi living amongst us. This is special! By supporting Russell Kiwi Protection you can help us to increase your chance of having a kiwi in your backyard. You can also help by putting out a kiwi nesting box, so they have somewhere safe to be. The box in this photo helped bring 3 kiwi chicks into the world in 2016. 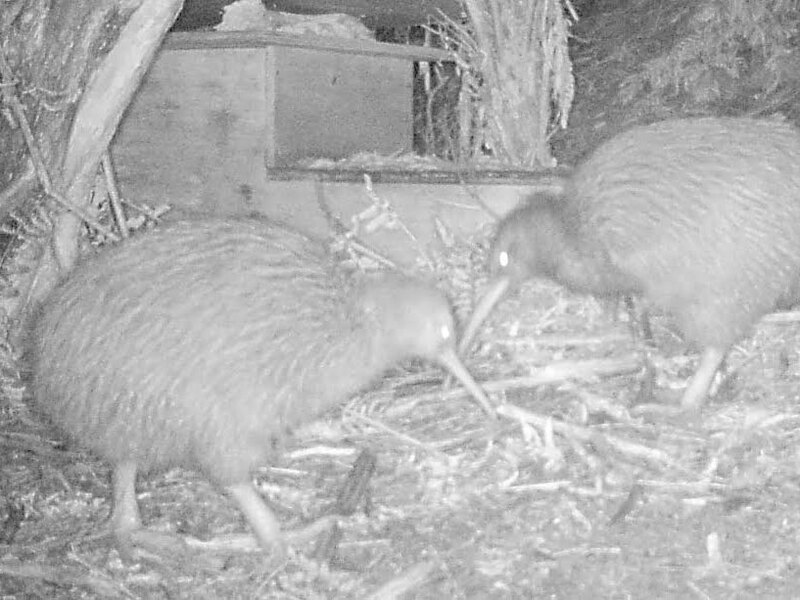 The larger female kiwi is on the right and the male is one the left.